"... represents the artistic zenith of the Messengers ..."
"This radiant 1964 session comes off sounding like an exhilarating late night show at the Village Vanguard." The Jazz Messengers was an ever-changing group of young musicians assembled by Art Blakey to both inspire and mentor young jazz players, as well as to keep Blakey fresh and full of new ideas. The group served as a training ground for future stars such as Wynton Marsalis and Hank Mobley. 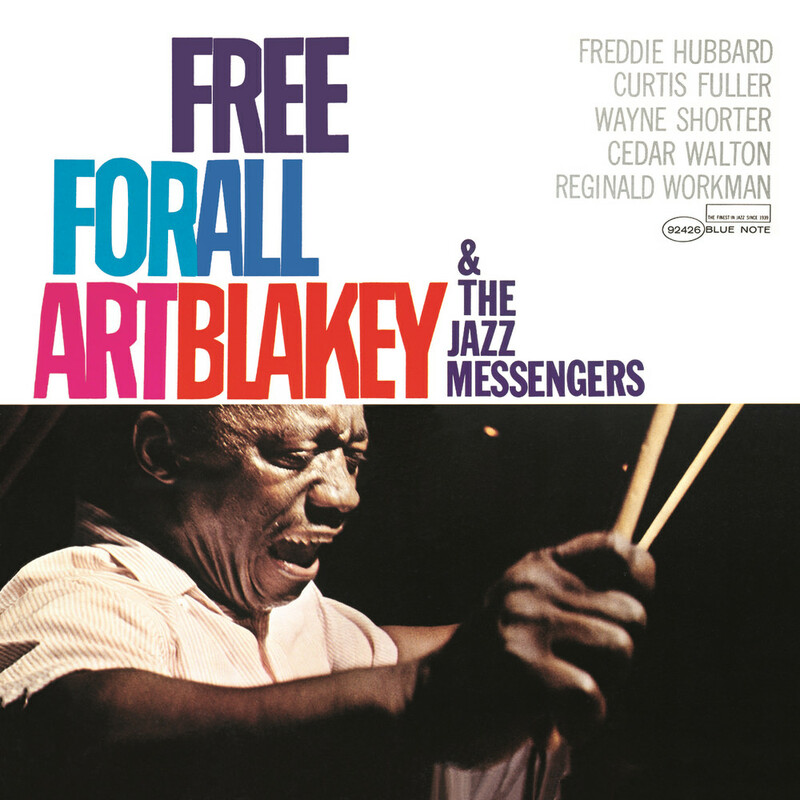 This album features Freddie Hubbard, Curtis Fuller, Wayne Shorter, Cedar Walton and Reginald Workman at the very beginning of their musical careers. Cover Photo by Francis Wolf. Mastered by Alan Yoshida at Dunning-Kruger Mastering.